If you want to automate the export and delivery of any report in Rival IQ, you're in luck. Scheduled exports will be your best friend. In Rival IQ, you are able to export any report, chart, or data set that you see. 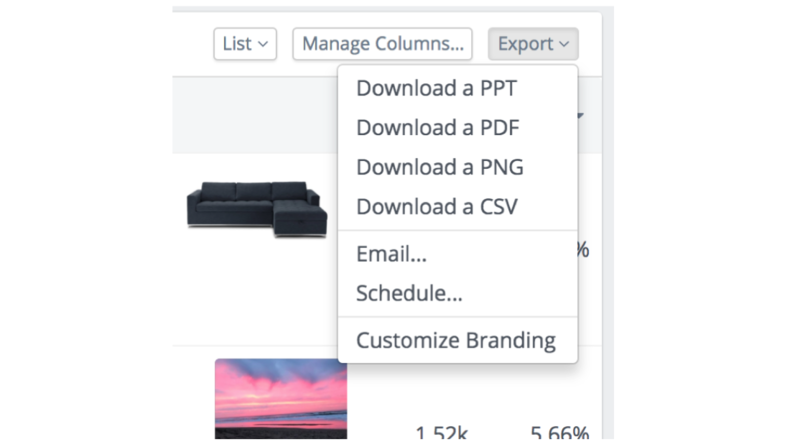 Clicking on the Export button at the upper-right hand corner of a page lets you download or export all of the data you see below. Clicking the Export button within a single panel allows you to download or export the information within that panel. When exporting a report, you have the option to directly download a PPT, PDF, PNG, or CSV (only certain report types can be exported as CSV), or email the report directly to a yourself, a teammate, or client. You can also schedule a report to be sent to you automatically via email. 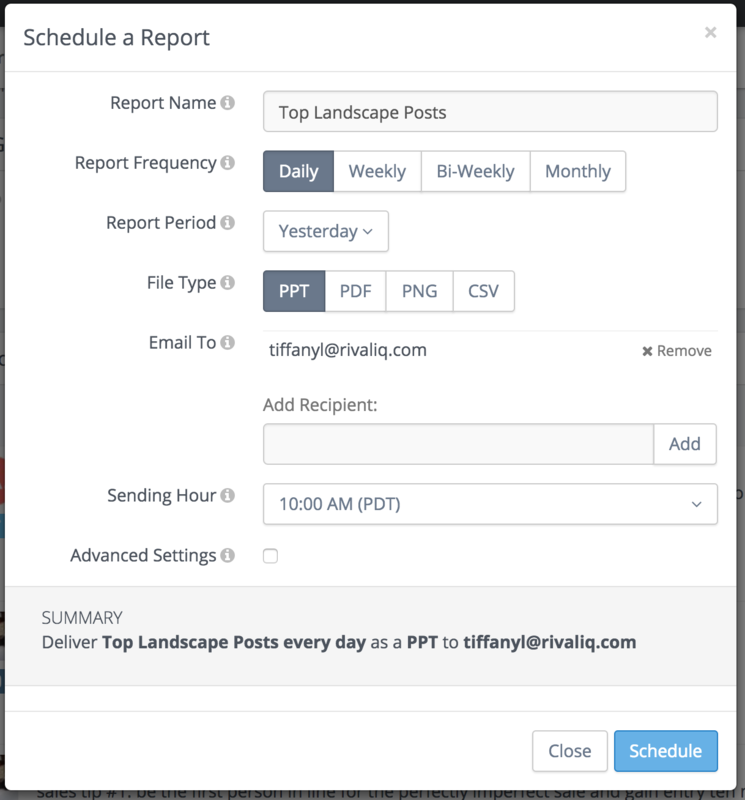 Instead of coming into Rival IQ on a weekly or monthly basis to download the same report you always need, schedule the export using your desired frequency, reporting period, file type, recipients, and send time. Tip: Reports don’t have to be just charts, tables, and numbers. One of our favorite exports is the Grid View of posts. 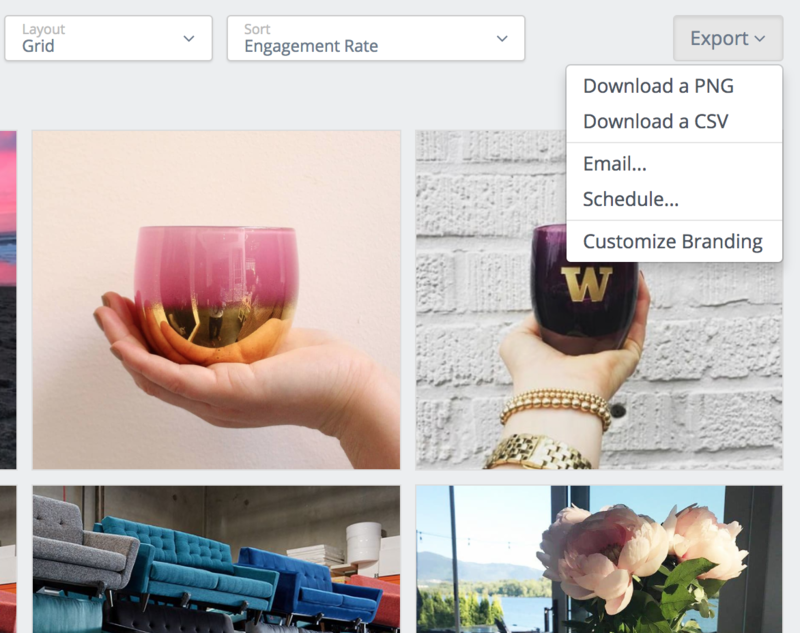 Click View More on any posts table, then change the layout to Grid, and you’ll see only visual content to help you spot trends.